If your business is located within one of Vivid Sydney’s precincts, we would like to invite you to become involved in this year’s Retail Activation Program. 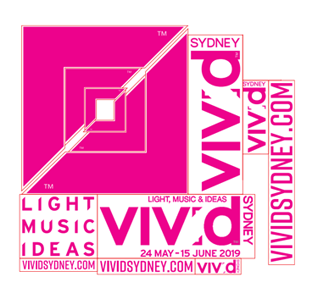 This package Vivid Sydney merchandise is free and provides an opportunity for you to dress your retail space in preparation for the festival. Around three-quarters of businesses (75%) who used the Retail Activation Pack last year found that Vivid Sydney boosted their business during a normally quiet period. 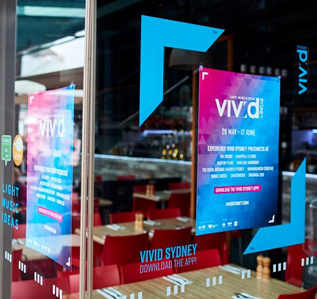 to receive the Vivid Sydney Retail Activation Pack sign up by clicking the button below. You will be contacted with an approximate date and time of delivery and/or installation. Our crew will deliver the package and install window decals in the weeks prior to 24 May, at no cost to you.